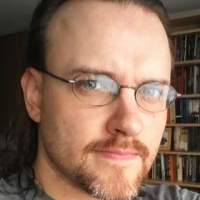 Matthew Weise is a game designer and educator whose work spans both industry and academia. He is the CEO of Empathy Box, a company that specializes in narrative design for games and across media. He was Narrative Designer at Harmonix Music Systems on Fantasia: Music Evolved, and Game Design Director of the GAMBIT Game Lab at MIT. He has worked and consulted on storytelling and game design for clients such as Warner Bros., Microsoft, PBS, The National Ballet of Spain, and Red Bull, among others. His creative and critical work focuses on transmedia adaptation, with an emphasis on the challenges of adapting cinema into video games.